VENICE, FL, MAY 26, 2016 - The Venice Theatre Guild invites audiences to enjoy a night of nostalgia, energy and fun when The Gotta Luv It Band takes to the MainStage Saturday, June 18, 2016. The concert is at 8 p.m. and tickets are $20. They are on sale now at the theatre’s box office, by phone at 941-488-1115 or online at www.venicestage.com. Proceeds benefit families in need of scholarships to participate in Venice Theatre’s education programs. “Gotta Luv It” is six professional, “old school” musicians who promise “good clean fun for everyone” with their repertoire of songs from the ‘50s, ‘60s and ‘70s. 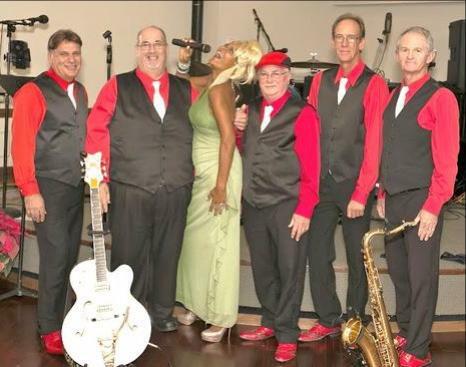 The band features seasoned vocalist Brenda Watty who's sung with the Marvelettes, Bob Stout, Jr. on vocals and rhythm guitar, New Yorker Russ Bracco on vocals and drums, Joel Schindler on vocals and bass guitar, David Murabito on vocals, keyboard, and guitar, and John Swaiko on hot sax and keyboard. Click here for photos and more information about the band. Venice Theatre is located at 140 W. Tampa Ave. on the island in Venice. Summer box office hours are 10 a.m. to 3 p.m. Monday through Friday and one hour before all performances. The Guild is a membership organization united by a commitment to Venice Theatre. Through the annual Summer Oldies Concert Series, the Guild raises funds that provide tuition support for theatre classes, internships and the theatre's intense SummerStock program.